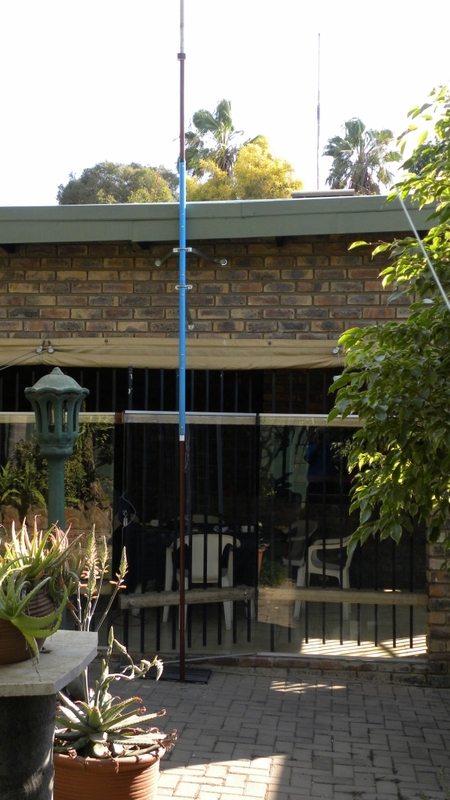 A Super J-Pole, also known as a vertically polarized omni-directional two element vertical collinear J-Pole, is basically a standard J-Pole antenna with an added half wavelength section on top. 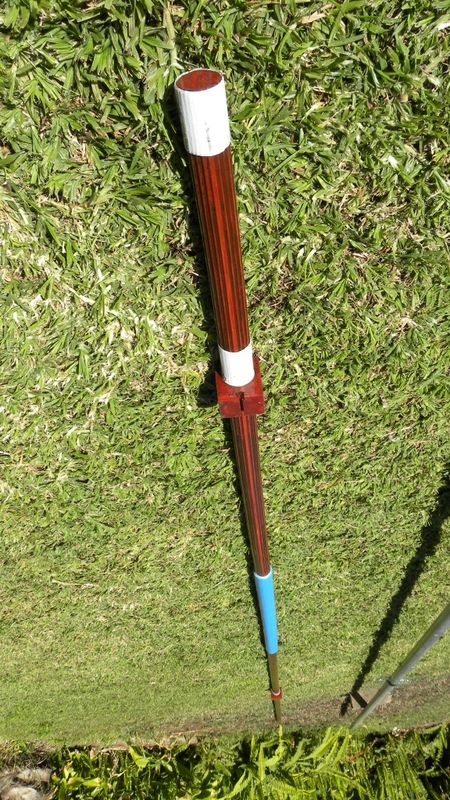 A quarter wavelength phasing stub joins the two half wavelength vertical sections. 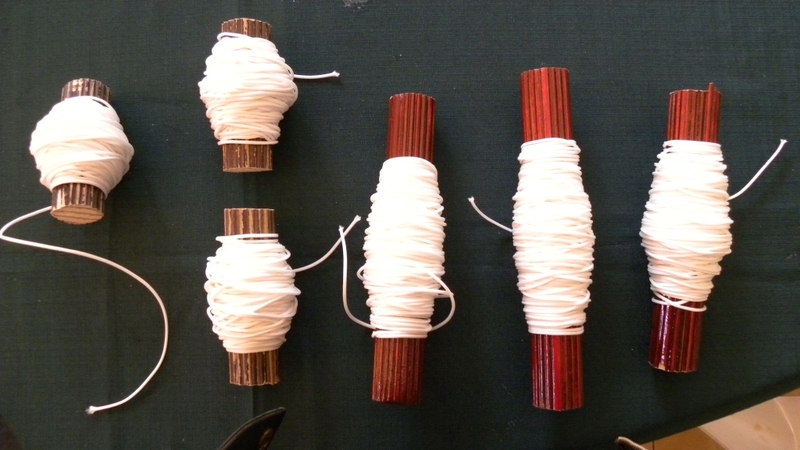 I used a wood dowel to join the two vertical sections which need to be mechanically insulated from each other. 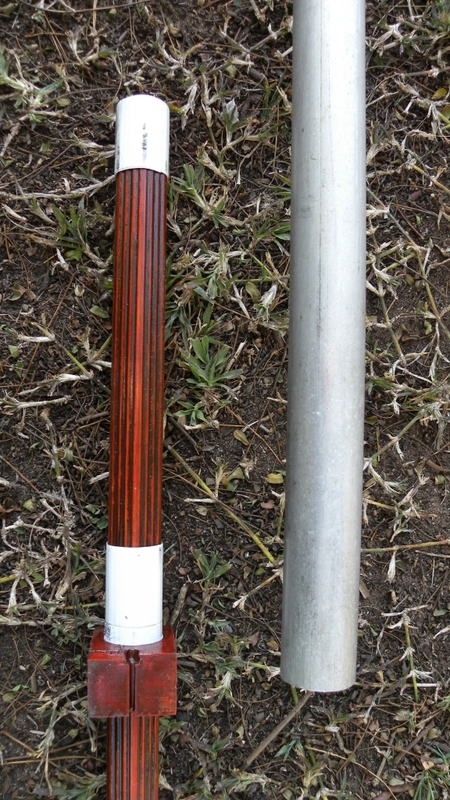 The antenna is fed with a 0.25 wavelength impedance matching stub (this section of the antenna does not radiate any significant power). This design makes the antenna look like a "J" hence the name "J-Pole." This type of antenna is band specific. 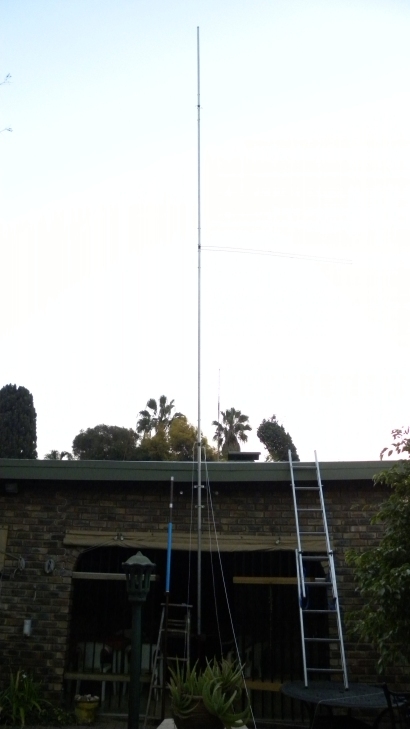 I have successfully built and used the antenna and found it performs very well. The Super J-Pole is a popular antenna for use on the VHF and UHF bands as it has a very low take-off/elevation angle of approximately 10 degrees (if constructed and mounted correctly) with an approximate gain of 6.38 dBi or 4.23 dBd (4.23 dB gain over a dipole at the same height). Calculated as follows: 6.38 dBi - 2.15 dB = 4.23 dBd. 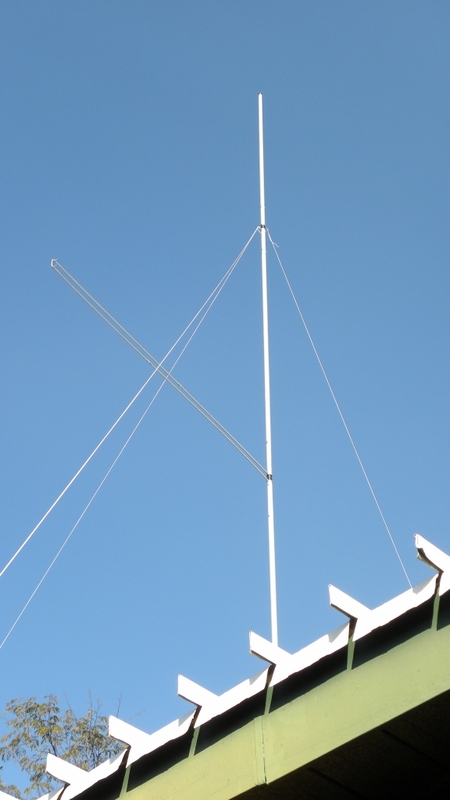 This makes it ideal for reaching repeater stations on the distant horizon. 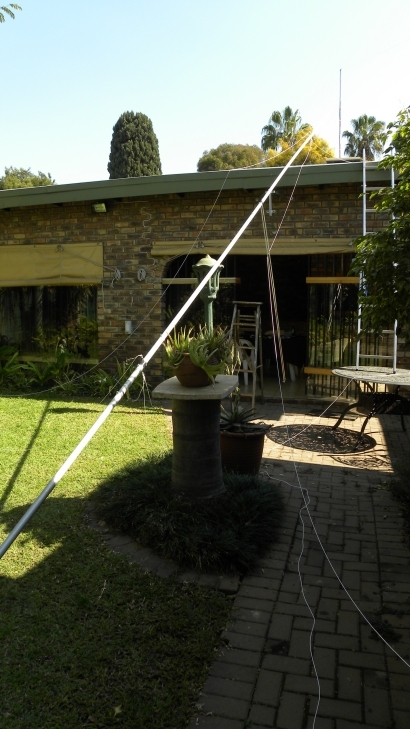 Whereas a 0.5 wavelength vertical antenna with no radials has a typical take-off/elevation angle of approximately 18 degrees. 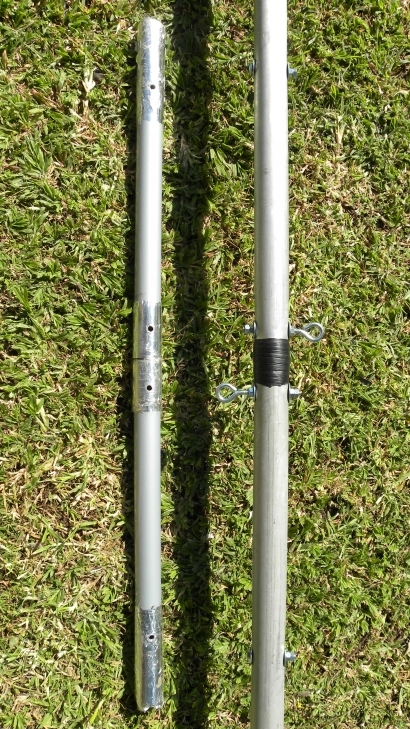 There is no reason why a Super J-Pole cannot be used on the high-frequency (HF) Band; however it does become very, very long on bands below the 2 meter Band. It is important to note that the antenna should be mounted at least 0.25 wavelength (2.722 m) above the ground and 0.25 wavelength from any nearby reflective objects. 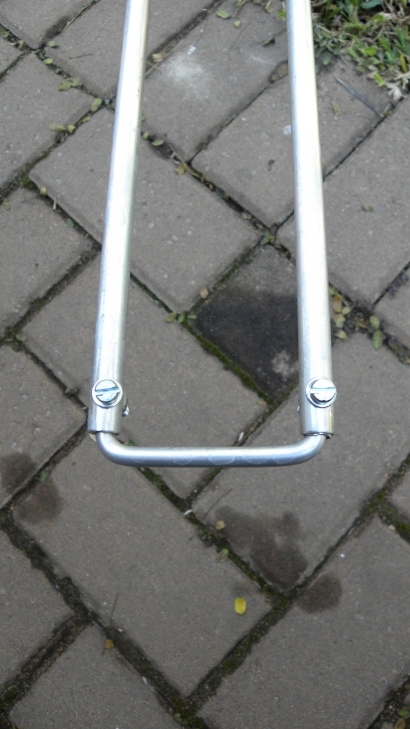 Mounting it near reflective objects will affect the radiation pattern. The mast to which the antenna is mounted must be non-metallic; material such as wood or PVC pipe is ideal. Instead of using copper wire throughout the design I decided to use aluminum tubing for added mechanical strength and lower electrical losses. I however opted to use insulated copper wire for the bottom quarter wavelength impedance matching stud. 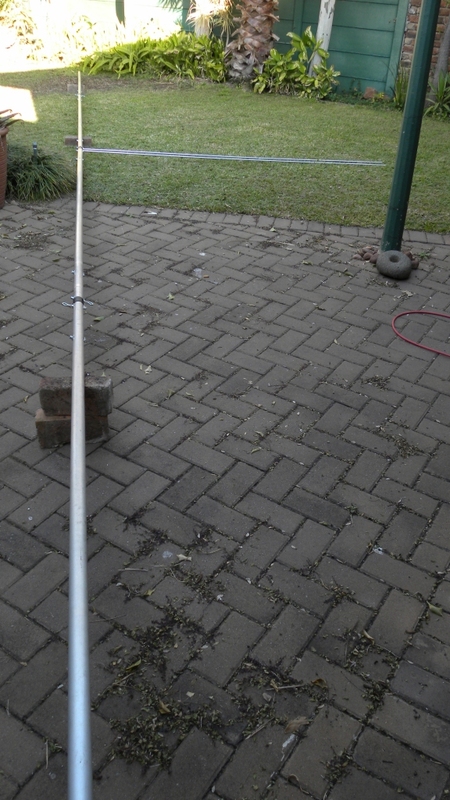 The feed-point from the bottom of antenna is approximately 0.03 wavelength: 10.234 x 0.03 = 0.307 m (this may vary between 0.190 m and 0.307 m, use trial-and-error to find the ideal feed-point for your antenna; you may consider starting at 0.260 meters from the bottom of the antenna). 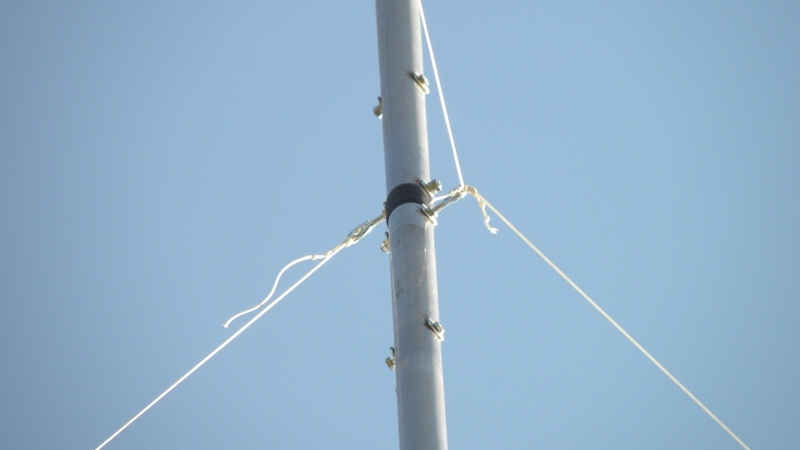 Both the centre conductor and braid of the coax need to have the same distance to the bottom of the antenna, so they need to be moved up and down together. 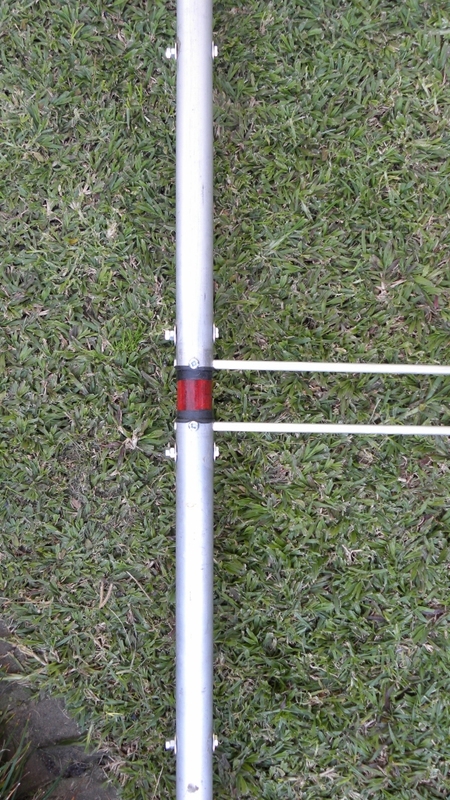 The centre conductor of the coax is connected to the antenna's longest side and the coax braid/shield is connected to the shortest side. 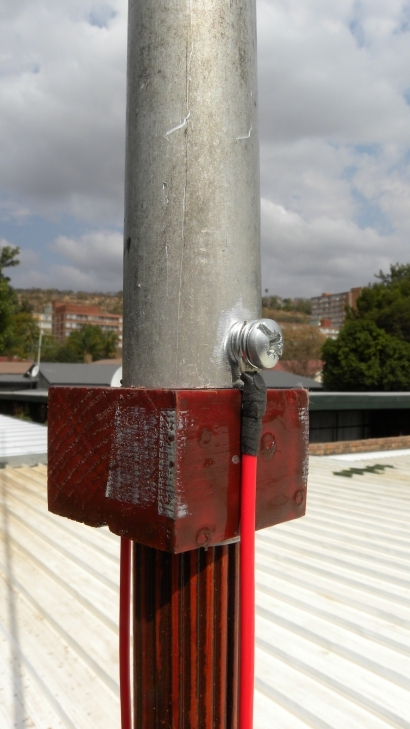 To prevent radio frequency (RF) from entering the coax a current Balun consisting of 7 turns of coax close wound side-by-side with an air-core with a diameter of approximately 12 cm must be used and mounted near the feed point. 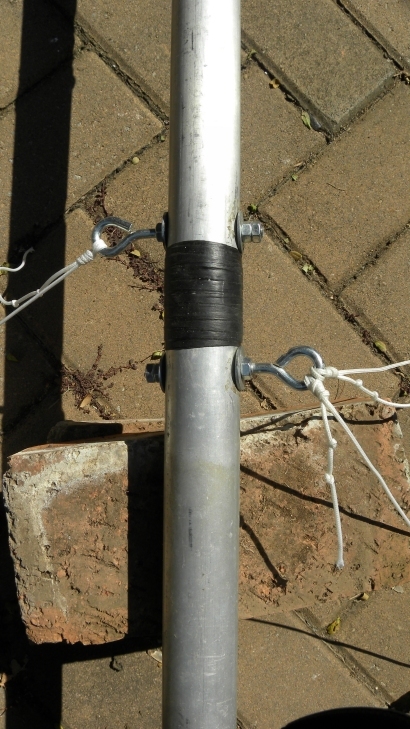 Solder the wire joins in place and insulate using self-amalgamating tape. 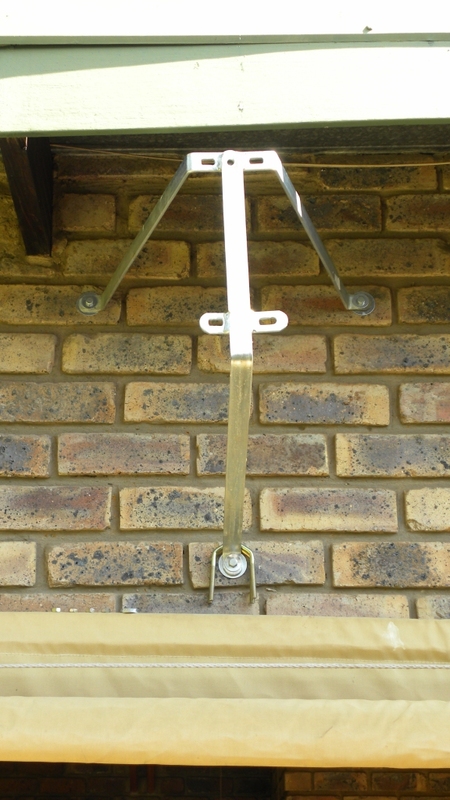 I also used self-amalgamating tape to seal all the mechanical joins as shown in the photographs. 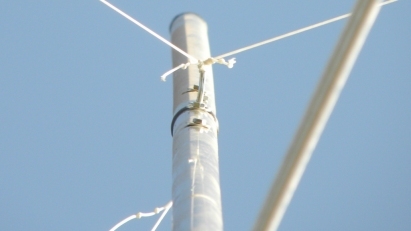 The Super J-Pole antenna has a vertically polarized omni-directional radiation pattern and consists of a main lobe carrying most of the power at approximately 10 degrees above the horizon. 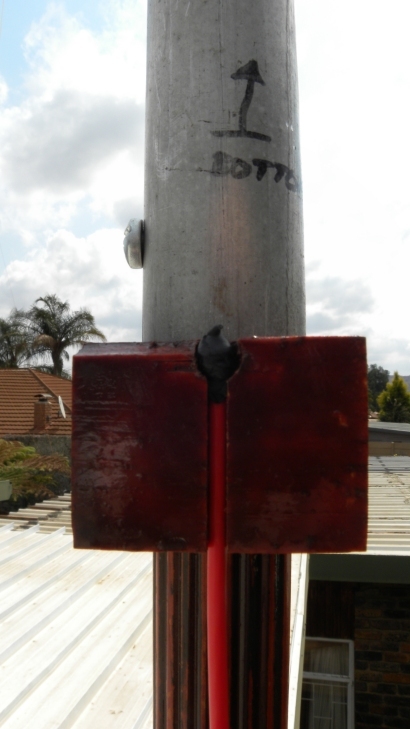 The beam width of the main lobe at the -3 dB points is approximately 28.5 degrees. Running this design in EZNEC produces VSWR and Radiation Pattern plots as indicated in figures 3 and 4 respectively. I selected average to rocky ground and aluminum in the simulation. The antenna was placed 3 meters above the ground. Figure 5 shows the EZNEC antenna model and current distribution curves. The EZNEC "wire" table is shown in figure 2. Many radio operators feel the following step is irrelevant, but I do it for good measure: Before tuning, ensure the coax cable transmission line is cut to a length which uses multiples of 0.5 wavelength because each 0.5 wavelength of cable represents the characteristic impedance of 50 ohm. Also take the velocity factor (VF) of the cable into account. The VF for RG58/U Solid Polyethylene (inside insulation: transparent) is 0.66 and for Foam Polyethylene (inside insulation: white) is 0.78 respectively. Solid Polyethylene coax cable one 0.5 wavelength long is 3.600 metres. 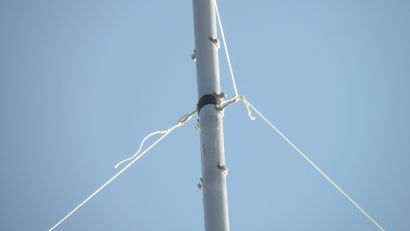 The calculation (in metres) is as follows: 300 / 27.500 x 0.66 / 2 = 3.600 m. This length does not include the extra coax cable required for the Balun, it is only the length of the coax cable transmission line from the Balun to the receiver or transceiver. 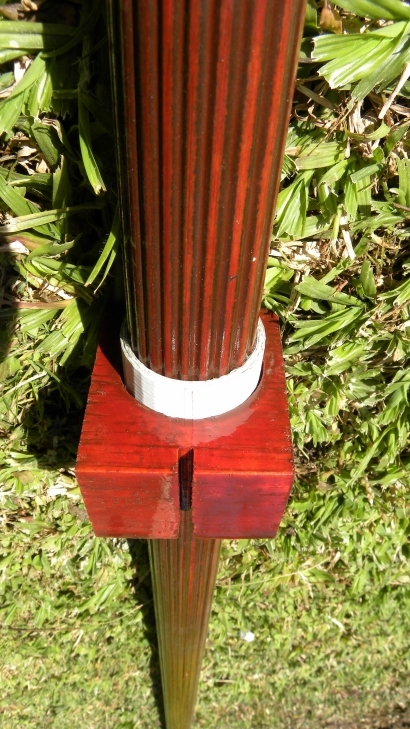 The wood dowel that joins the two sections and the wood dowel mast need to be very strong, I opted to use Meranti wood. 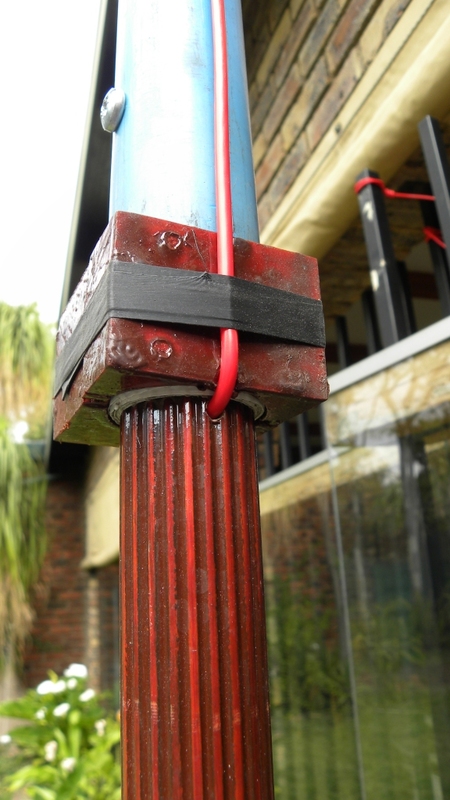 As the antenna is mounted outdoors it is exposed to the elements; I painted the wood sections with NOVA 14 polyurethane wood sealer paint which contains a water repellent, anti-fungal agent and is UV resistant. Apply at least three coats of paint. Heavy duty/weight Dacron line is used for the two sets of three guys at the top and the middle of the antenna. The guys need to be seperated by 120 degrees for maximum support. Use a "fishermans" slip knot to tie the lines to the antenna; normal knots will weaken the lines significantly. To ensure the phasing stub sections make good electrical contact with the vertical sections use non-corrosive/rust resistant self-tapping screws. This also applies to the connection between the insulated copper wire impedance matching section and vertical section.